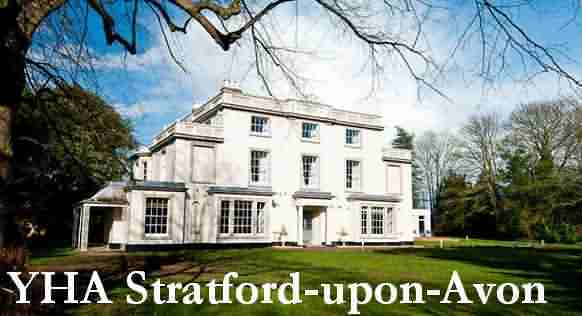 Shakespeare's Stratford upon Avon is a bustling town with an abundance of tourist facilities including many restaurants and places for accommodation including hotels, bed and breakfast (b&b's), inns, and self-catering cottages. The town, as you might expect in the holiday season, is alive with tourists from around the world paying pilgrimage to William Shakespeare. Set in the heart of Shakespeare Country, and bordering the beautiful Cotswolds, the historic Macdonald Alveston Manor Hotel and spa sits in peaceful private grounds just 5 minutes' walk from Stratford-upon-Avon. With ample free parking and a host of meeting and function rooms, this elegant manor house is ideal for business executives needing thinking space. Or for couples seeking a romantic weekend, where better to pop the question than under the hotel's famous cedar tree, rumoured to have seen the first performance of A Midsummer Night's Dream? Whether you come to Stratford on business or a family celebration, for the theatre, shopping, spa treatments or hundreds of local activities on offer, we'll make sure you have a great time. If you are travelling to Stratford for a theatre break and require theatre tickets, please contact our Concierge in advance. Situated opposite the Royal Shakespeare Company Theatre, The Arden Hotel offers free private parking and luxury marble bathrooms, with a central location in historical Stratford-upon-Avon. The property is part of the Eden Hotel Collection which has been awarded AA Small Hotel Group of the Year 2014 - 2015. All of the refurbished rooms feature modern en suite bathrooms, flat-screen TVs and tea and coffee making facilities. Luxury bathrobes and free designer toiletries are also provided. Some rooms have scenic views of the River Avon. The stylish Waterside Brasserie serves fresh and creative dishes, whilst the contemporary Champagne Bar offers classic cocktails in sophisticated surroundings. The exclusive Club Bar features a private riverside terrace, and serves a light menu. 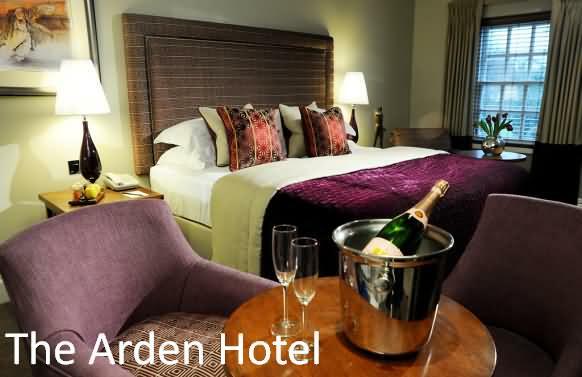 The Arden Hotel has a guest lounge with comfy sofas and an open fireplace, and there is also a garden with a terrace. Free Wi-Fi is accessible throughout the hotel, and a 24-hour reception service is also available. Located on the banks of the River Avon, The Arden Hotel is just 2 minutes’ walk from The Falstaffs Experience. The Church of the Holy Trinity, Shakespeare’s resting place, is 5 minutes’ walk away. Stratford-upon-Avon Racecourse is just 1 miles away. Tudor, yet timeless, the romantic BEST WESTERN Salford Hall Hotel is a delightful manor house that opens up the gateway to Shakespeare country and the Cotswolds. "To stay or not to stay", that is the question. 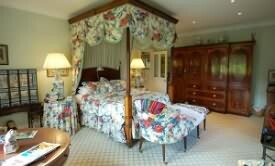 Though our delightful setting, amiable staff and four-poster beds in some rooms should make it an easy one to answer! We're also blessed (and proud as punch) to be able to offer charming accommodation in Tudor Court, a lovingly restored coach house and granary. Good food and even better company can be found in our friendly award-winning restaurant, and we'll do everything possible during your break to make it an unforgettable one. 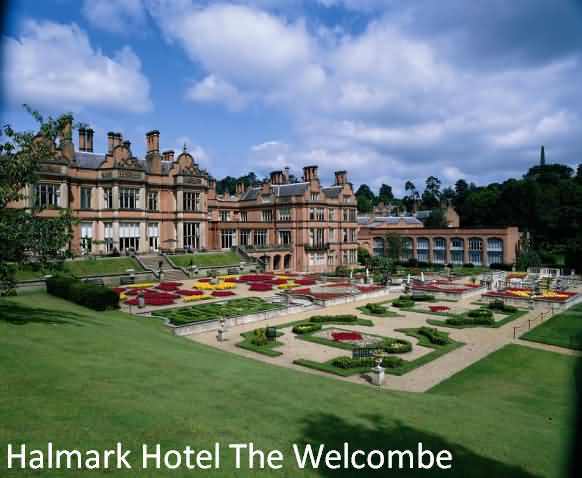 Hallmark Hotel Stratford upon Avon - Welcombe Hotel Spa & Golf Club features an 18 hole, par 70 golf course. Located on the outskirts of the beautiful town of Stratford upon Avon, just 5 minutes from the M40. Complimentary parking is provided. The Welcombe Spa features thermal experience rooms, a vitality pool and heated loungers, along with Elemis and Clarins treatment rooms (advance booking recommended). Tennis courts are also on offer. 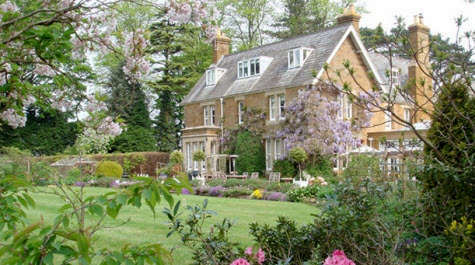 Uplands House near Banbury is a luxury five star bed and breakfast with a Gold Award, overlooking a Cotswold area of Outstanding Natural Beauty in the heart of England. Near to Moreton-in-Marsh, Stratford-on-Avon, Chipping Campden, and Warwick Castle, it provides the perfect base for visiting many of the wonderful events and attractions in the local area. Your hosts, Poppy and Graham provide the very best in English country house hospitality. 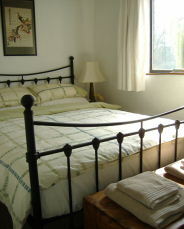 The watchwords here are a very warm welcome, friendliness, kindness, comfort, and good food. Guests normally arrive in time for for tea, served with delicious home made cake, either by the fire in the Winter or on the terrace in Summer. The en-suite bedrooms at Uplands are sumptuously furnished and very comfortable, guaranteeing a thoroughly restful night’s sleep. Guests are also invited to use the garden terrace and the drawing room, both are ideal places for relaxing. Most of our visitors eat with us on their night of arrival and you may wish to really treat yourselves to the fine dining experience that awaits you at Uplands House. A proper Warwickshire breakfast is served in the mornings at a time of your choice. If you don't want to go anywhere, enjoy in the garden, play croquet on the lawn, or sit and watch the many species of birds with a peaceful backdrop of grazing sheep. 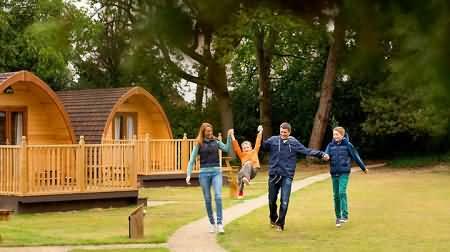 Room rates are from £110.00 per room per night for two sharing fully inclusive of breakfast. Single occupancy is available - see our website for comprehensive information. A four course dinner is £35 per person. 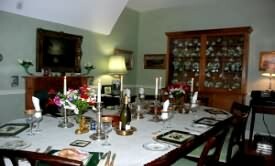 A two course supper is also available at £20.00. Payment is by cheque, cash or credit card and we ask for a non returnable deposit of 50% of the first night's booking when the reservation is made. Please note that Uplands House is a non-smoking establishment. We are conveniently located only 3 miles from the town centre and it is an ideal base for those who wish to explore the world of William Shakespeare. Mary Arden’s house, once the home of Shakespeare’s mother, is within a 15-minute pleasant walk or a bus ride. This venue makes an ideal stop-over for those visiting the theatre, also appealing to walkers or cyclists. Nearby are many fine old country pubs offering home cooking and real ales. 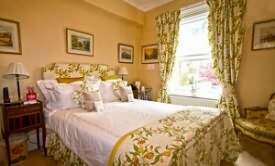 You wake up to beautiful views of the sunrise over the Avon valley and the rolling Cotswold hills. Enjoy a full traditional English breakfast with our own free range eggs and local produce. Other diets can be catered for on request. This old gamekeeper’s cottage offers a tranquil retreat, away from the bustle of suburban life, with excellent linking roads to Warwick, Kenilworth, Leamington Spa and other towns of the Midlands. Key events at Stoneleigh’s Royal Showground and Birmingham’s NIA and NEC are easily reached via motorway. Welcome to the peace and quiet of a country bed and breakfast close to Warwick, Stratford upon Avon (10 miles) and Royal Leamington Spa.Set in rural Warwickshire, Church Hill Farm offers quality accommodation within the heart of the delightful village of Lighthorne. 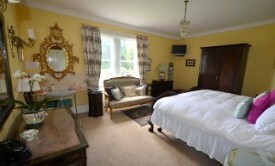 All our rooms have ensuite bathroom, TV & hospitality tray, beamed ceilings, antique furniture and free and fast wifi. Prices include breakfast and onsite parking. There are three spacious rooms in the house - two doubles and one twin. The historic Cruck farmhouse is grade II listed, dating back to the 15th century. It has been a family home for hundreds of years and contains fine antique furniture. Your stay includes a home-cooked breakfast using locally produced ingredients - the farm's free range chickens providing fresh eggs of course! 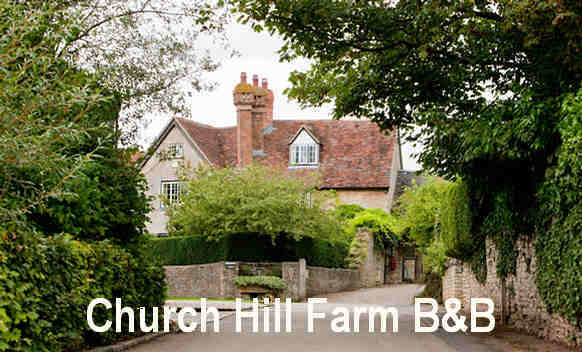 Church Hill Farm prides itself on giving guests personal attention and/or privacy as required. For a longer stay, or if you prefer self-catering, take a look at our suites on our website. Amazing find in the countryside! We were absolutely blown away with the extremely friendly and accommodating reception and amazing views. We also felt it was fantastic value for money. Would recommend it to anyone. Thanks for a lovely stay. Stratford-upon-Avon has a surfeit of selling points whatever the season. Whether it’s the Museum of Mechanical Art & Design (MAD), Tudor World or the costume displays in the Royal Shakespeare Theatre tower, there’s an exhibition to suit all interests. When you walk around the town centre, lift your gaze above the shop fronts off Bridge Street and you’ll see what the town might have looked like in Tudor times. Hathaway Hamlet offers pet-friendly accommodations in Stratford-upon-Avon, 1.4 miles from Royal Shakespeare Company and 1.4 miles from Royal Shakespeare Theatre. It provides free private parking. There is a dining area and a kitchen complete with an oven and a toaster. There is a private bathroom with a bathtub or shower. 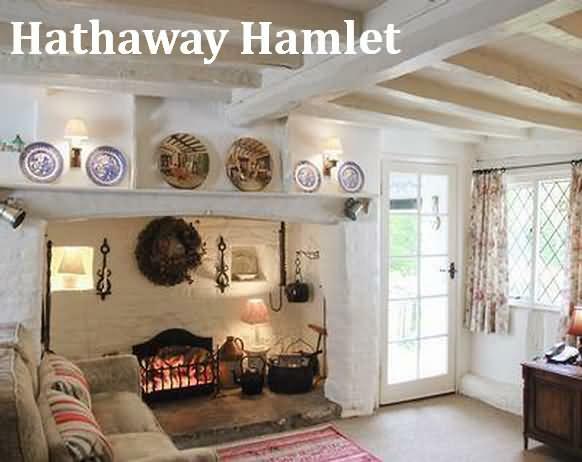 Anne Hathaways Cottage is 0.6 miles from Hathaway Hamlet, and Stratford upon Avon College is 0.8 miles from the property. The nearest airport is Birmingham Airport, 17 miles from the property. 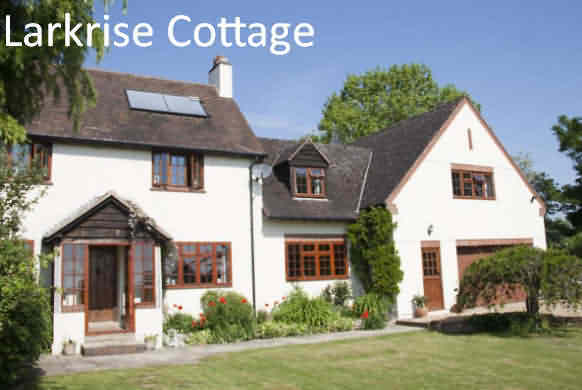 Rose Cottage is a holiday home is located in Stratford-upon-Avon is 1.4 miles from Royal Shakespeare Company. 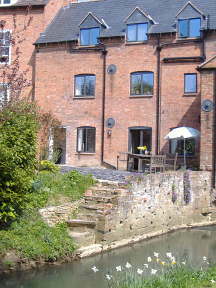 The property boasts views of the garden and is 1.4 miles from Royal Shakespeare Theatre. The unit is equipped with a kitchen. A TV is provided. There is a private bathroom with a bath or shower. 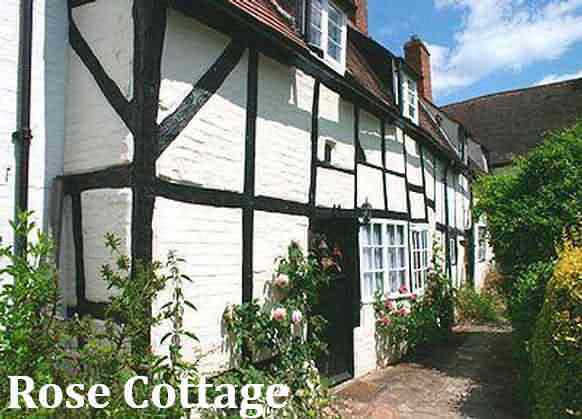 Anne Hathaways Cottage is 0.6 miles from Rose Cottage, while Stratford upon Avon College is 0.8 miles away. Birmingham Airport is 17.4 miles from the property. Guest can dine in the adjoining Marco Pierre White New York Italian, where inspiration from Marco’s Italian heritage and his love of New York merge on the menu, seeing pasta and risotto sit alongside burgers and steaks. 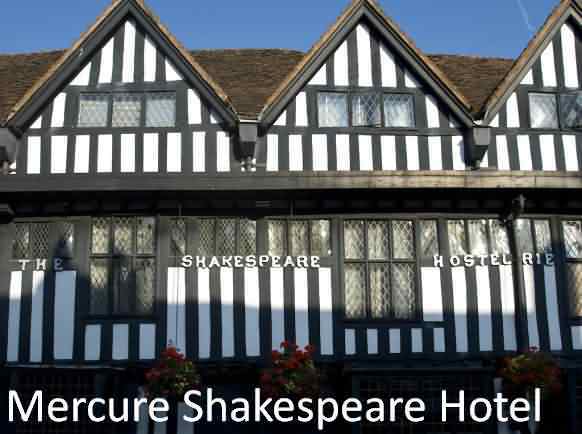 The hotel is just 350 yards from Shakespeare’s Birthplace, Schoolrooms, New Place, the RSC theatre and local shops. It is just a 5-minute walk to the High Street, with its theatre, shops and restaurants. Moreton-in-Marsh is a well known Cotswold market town and is 16 miles from Stratford and an ideal base for which to tour not only the Cotswolds but also Stratford-upon-Avon, Warwick and Blenheim Palace at Woodstock. The riverside market town of Evesham is 13 miles from Stratford and is ideally placed for touring southern Worcestershire including Worcester, northern Cotswold villages and also Tewkesbury and Winchcombe's Sudeley Castle.